Stud earrings are an affordable and glamorous accessory that can easily transition from day to night looks. 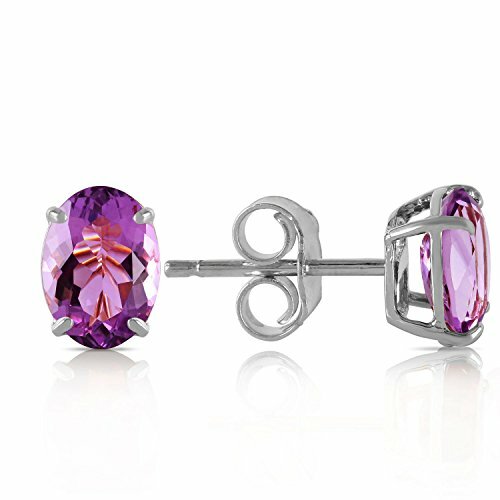 These 14k white gold stud earrings with natural amethysts adds a pop of color to anything that they are worn with, making them perfect for yourself or to give as a gift for a February birthday. Two oval cut stones sit perfectly in each ear, throwing off a total of 1.80 carats of dazzling purple beauty. The earrings are set in solid 14k gold, available in your choice of yellow, white, or rose gold to make them completely your own.